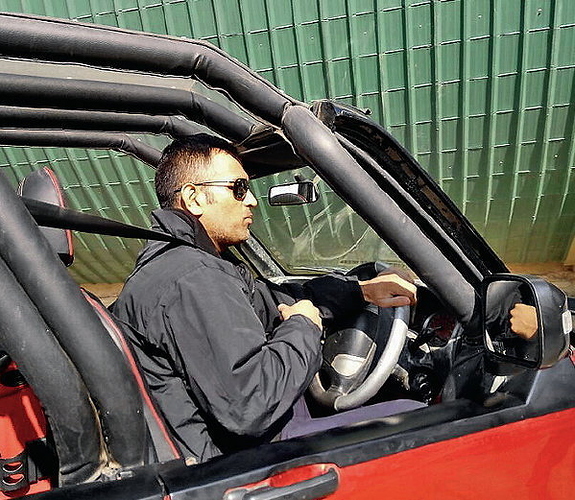 MS Dhoni is known for his love for automobiles from a long time. Recently, the ace Indian cricketer bought himself a fully modified Mahindra Scorpio and that too from none other than Mahindra Customization Department. 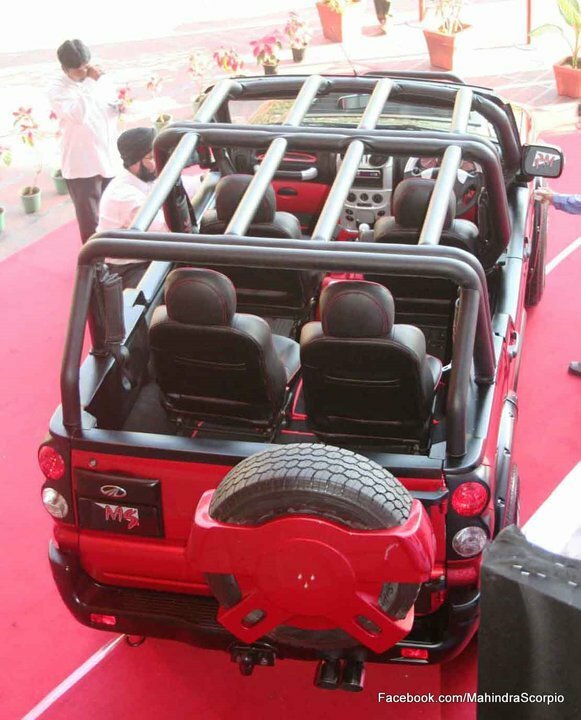 Dhoni was spotted arriving at a stadium in his new car. This is not the first time when the Indian Captain has got himself in the limelight with his impressive machine. The car has been totally changed from the top to the bottom, custom painted in Red and Black for improved appeal. The roof and all 3 pillars have been removed for the addition of a full sized roll cage to the car. The third row seats have even been removed while the second row now gets additional legroom with their new position. Notable additions include bull bar, flood lights, custom seats and custom spare tyre holder at the back. The car even comes with custom 5-spoke chrome alloy wheels and contrast finished dashboard.